Are you a forward-thinking small business owner with a vision for where you want to take your business but frustrated by the level of advice you get from your accountant or advisor? Do you manage an Indigenous organisation that you want to take to the next level but unable to get the right people to help you develop governance and strategies? You’ve come to the right place, because once you discover why we are focused on people like you and how our services remove the frustration and blockages, you will love to work with us. We focus on only two market niches. The first is the forward-thinking small business owner who doesn’t just want a cheap tax return but who wants someone to sit next to them to grow the business. Sure, you need tax and accounting services, and for sure you want to pay as little tax as possible, but you also want someone to recognise that you don’t grow your business and achieve your dreams just by getting your tax return prepared. We prepare accounts – but we see this as only a step, to get information and to understand how your business is performing. The real value that we provide is to work with you to answer the question – how to improve and get to where you want to go. This means you need to analyse your results and then look at cash flow and funding, prepare a business plan to organise your direction, prepare a marketing plan to make sure you are achieving your potential, do all the things a business that’s going somewhere needs to be good at. Our second market niche is Indigenous organisations who are looking to take the next step, to be an excellent corporation that really is effective in working for its members. If you just want your annual accounts done ready for the audit, and that’s it, don’t come to us. We will help you prepare accounts but if you are the type of organisation we want to work with, you are also thinking about governance, strategic planning, independent funding, systems and procedures to make you efficient. We also act as your operational and business sounding board providing you with networks into other specialties and connections that you may need. We provide all the usual services that an accounting firm provides – accounting preparation, annual tax returns and other activity statements. Let’s not even talk about them, except to say that the difference with us is that we use internal and computer systems to produce them faster and more cost-efficiently than others. For example, once we get to know you, we provide you with timely checklists so that you can get together all the information we need in the form we need. What this simple system does is to avoid costly stoppages and time delays when we have to stop work because we suddenly realise there’s something else we need. But that’s where we start, where everyone else finishes. We can facilitate your strategic, business, and marketing plans and help you stay on track. So who are we to do all this for you? 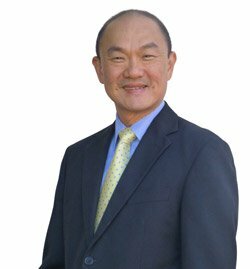 Teik Oh, the founder of OTS Management, started working as a Chartered Accountant in England in 1979 and since then has been helping small business owners in the UK, US, Asia and Australia. In the early years of his business career he worked for international management consulting firms across the world before he started his own business in 1991, focusing on entrepreneurs who have a passionate dream about their businesses but need the help to merge best business practice with their passion and vision. He successfully spun off this first business in 2004 and created OTS Management to specialise in the two market niches of forward-thinking small businesses and Indigenous organisations. Today, OTS Management (“providing Advice From Outside The Square”) provides solutions to over 300 loyal clients a year. We believe in giving great value in whatever we do. In all our offerings, whether free advice in a blog post or in our paid services, we believe in good design that makes complex business concepts easy to understand and entertaining to learn from. We believe in the passion and knowledge that small business entrepreneurs have in their own business and we believe that our role is to offer proven business systems and concepts that busy entrepreneurs like you can use to slot in their own knowledge about their business. It’s time to grow your business in the way you want to, by using proven step by step systems. You want another reason to work with us? Teik has synthesised over 35 years of successful business experience and just as many years of academic learning and research on how to start, build and grow a successful and profitable business. This synthesis has resulted in step by step processes that will help any passionate small business owner achieve their Vision. Why should you want to go through all the trauma that I and thousands of other small business owners have been through by trying to research by yourself? Why should you go through the frustration of working with an accountant who does nothing but cheap tax returns and who has to learn all this stuff himself while they are trying to make it work for you? Are you a glutton for punishment? Why don’t you grab the opportunity that we give you to learn from all our experiences of what works and what doesn’t work? Get in touch with us by clicking on the “Contact Us” button and arrange an obligation free meeting. Reduce your business costs while maximising revenue with our proven business management systems. Don’t just use your accounts to prepare tax returns – Use your numbers to grow your business. Is your business shining as bright as possible in your industry or market? We can help you work out strategies for increased market share and profitability. If you are a forward-thinking small business owner or Indigenous organisation frustrated with the lack of growth-oriented business advice and services available from other accountants and consultants then you have come to the right place. Once you talk to us and see how our value for money services can prepare your accounts and tax returns quickly and accurately, then use the information and our relationship to develop systems and practices within your business to facilitate your growth and success, you will recognise how you can find a way through the confusion and frustration.